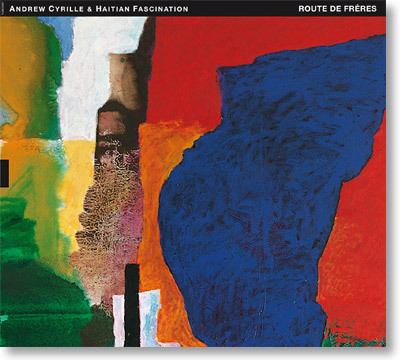 Route de Frères, the debut album by Andrew Cyrille & Haitian Fascination is a cultural odyssey dedicated to the island nation that is rich in music and culture but plagued by poverty and environmental disasters. For Andrew Cyrille, who has long been one of the most respected and versatile drummer/percussionists in modern jazz, Route de Frères represents a return to his roots. Born to Haitian parents in Brooklyn, New York, in 1939, Cyrille first visited Haiti at the age of seven. From these memories, the triptych Route de Frères ("Road of the Brothers") was born. With baritone saxophonist Hamiet Bluiett and bassist Lisle Atkinson as well as two Haitian musicians, master drummer and vocalist Frisner Augustin and acoustic guitarist Alix Pascal, Andrew Cyrille has created an album of vibrant, living music. Or, as Amiri Baraka formulates it in his liner notes: "Throughout the diverse listens and looks that the album gives us there is always this Island sway to it."